Runners & cyclists record data from different devices, many of which won't 'talk' to each other. This is my system for keeping it all in sync with a separate back-up. If your chosen application isn't listed, don't despair because you'll find an idea in this which will probably work for you. Oh - and this could all change once the Apple Watch comes out. Check the date on this post - what I wrote in 2015 may no longer work! I have three 'sets' of devices; Garmin devices record my cycling and running; a Fitbit Flex stays on my wrist throughout; a Withings Smart Body Analyser records my weight and fat %. I log my food on MyFitnessPal. When I want to see my workouts diary I open Strava. When I wish to see how active I've been outside of specific workouts, yet still including those workouts, I open Fitbit. When I need to know how many calories I have left I open MyFitnessPal. Just about everything uploads automatically (except cross training like yoga or weights) and the workouts are backed up in two places - they're uploaded to Training Peaks and a backup copy saved to my Dropbox. It's almost all entirely free. If you don't want to read the details of the devices I'm using, scroll down to KEEPING IT ALL IN SYNC. Most new Garmin devices automatically upload via Bluetooth to a free Garmin Connect account. I use a Garmin Edge 1000 for cycling and a Garmin 220 for running. I'm thinking about a Garmin Swim to complete the set (currently I upload swim sessions manually). Despite recent improvements, Garmin Connect remains a clunky interface compared to Strava. But it's easy to link the accounts so, in effect, my ride and run data is automatically uploaded to Strava. Strava is my main training diary. So I then open Strava to change the name of the workout but that's not necessary. I also manually log in Strava yoga, weights and other workouts not recorded by the Garmin. It's easy to overeat when training, either rewarding a workout or thinking you need more calories than you really do. On rest days it's even easier. My Fitbit Flex records daily activity. On a rest day, when I need to know how active I've been or how well I've slept, I open the Fitbit App on my iPhone. The main role of the Fitbit is to record how active I have been when not cycling or running. When filming I can easily walk over 20,000 steps a day - very active. When editing or writing it's more like 5,000 steps. That hugely changes how much I should eat. MyFitnessPal is simply the best way to track food intake, whether it's as simple as counting calories, or more involved like divided up into carbs, protein and fat. Work out how much you should be eating and input that as a daily goal. Link the account to Strava and Fitbit and your calorific needs are automatically increased or decreased in line with your level of activity. On hard training days, you'll know how many more calories to eat. On particularly sedentary days your intake will even reduce as Fitbit determines you've been less active than normal. Logging your food intake obviously helps! In the early days it was difficult to find British foods and measurements in MyFitnessPal, but now it's easy. True, it is harder to enter a home cooked meal than a a shop-bought ready meal (for which the nutritional information is provided on the packet and someone has probably already entered into MyFitnessPal). Weighing and apportioning all the individual ingredients is going too far, even for me. Yet I find it easy to record everything else I eat during the day, from breakfast to evening snack, so I have a fair idea whether I ought to eat a large or small evening meal. In my view, the numbers don't have to be precise. I know if I have eaten too much by the next morning. After my first loo stop I stand on my internet-linked Withings Smart Body Analyser. This automatically measures and record my weight, fat percentage (about which I'm doubtful), heart rate (which is long past resting so useless) and air quality (not needed here in the Scottish highlands). The results show on the Withings App within a minute or two but I don't need to look at it because it is linked to MyFitnessPal. This is the stuff you want to know, right? OK, here's how I do it. Step 3: Link MyFitnessPal to Fitbit (two-way data flow). This means workouts appear in the Fitbit App and, if you've worn your Fitbit while running, it knows not to double count. 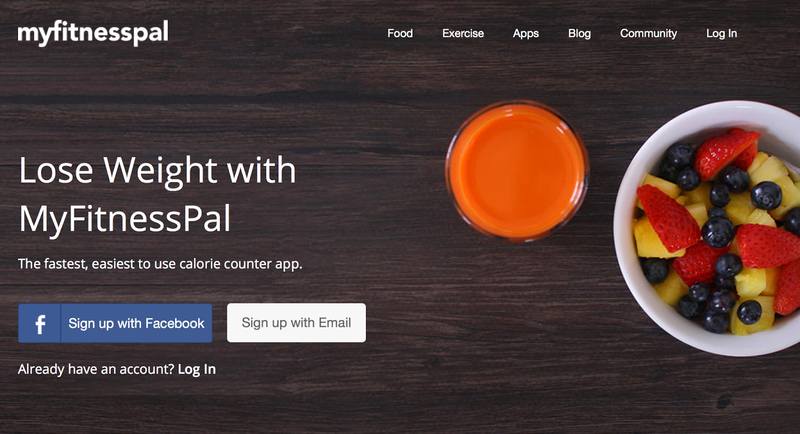 Fitbit and workout data appear in MyFitnessPal and your daily calorie allowance is increased. 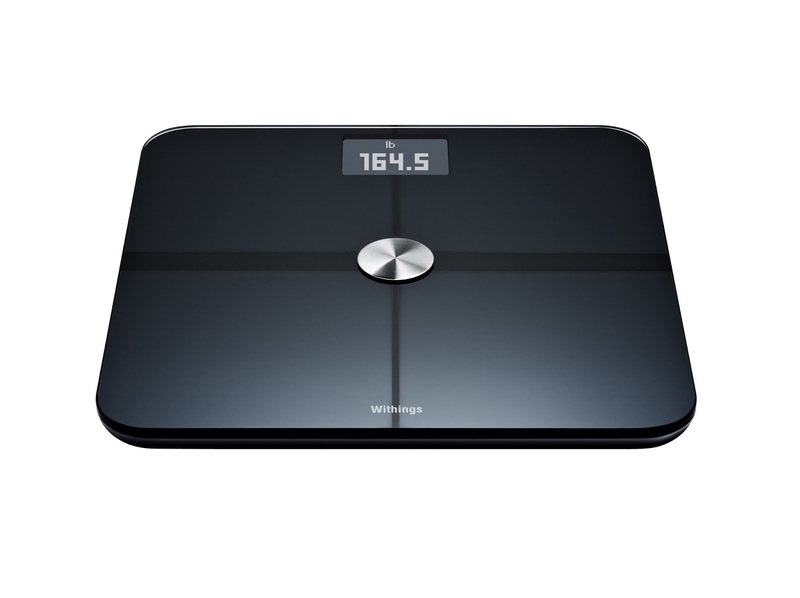 Step 4: Link Withings to MyFitnessPal (data flows from Withings to MFP) and, like the workouts, your weight data will appear in MyFitnessPal and Fitbit dashboard. Do not link Strava or Withings to Fitbit. I don't know if this will lead to double counting but it could confuse things, and it's not needed. 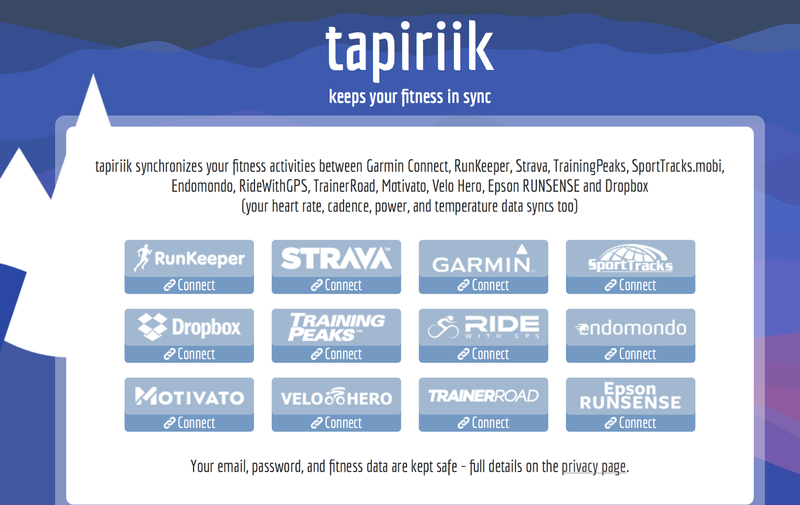 I want backups so I use Tapiriik.com to automatically synchronise Garmin workouts with my Dropbox account, placing a .tcx file into my laptop and desktop computers. The free FitnessSyncer.com account will take the data from my Strava account and synchronise it with my free Training Peaks account. 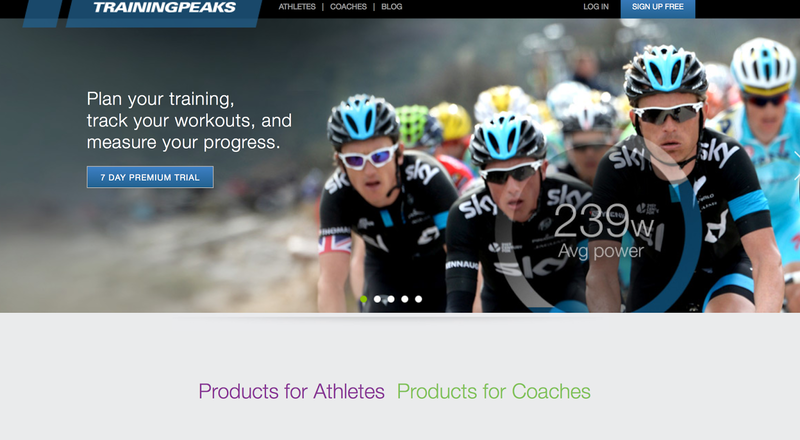 I keep this Training Peaks account for two reasons; firstly their online seminars are quite good and secondly, if I ever get a trainer, he or she will probably want to use Training Peaks. It sounds complicated but it's not - it's really simple and almost entirely automatic in operation. Until Apple sorts out Health Kit, then I won't use it. I don't carry my iPhone everywhere - Fitbit is a much easier recorder (imagine doing Yoga with an iPhone attached!) 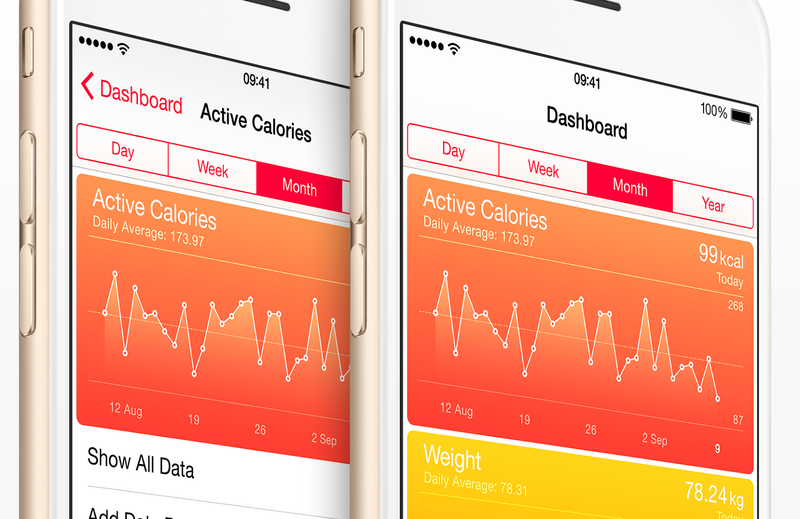 Yet Apple has made it virtually impossible to get Fitbit data into Health Kit. 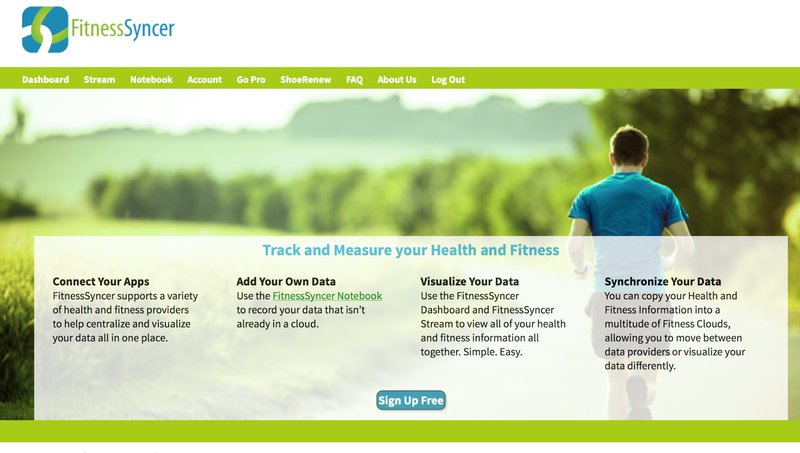 Yes, Health Kit links to MyFitnessPal, which in turn links to Fitbit. But Health Kit only imports the food data from MFP, not the activity data MFP acquired from Fitbit. I've tried other work-arounds but the same seems true of other Apps that partner Health Kit. Sorry Apple - for now at least, others are doing a better job so I won't be using you. Really informative article - Thanks. I came across your blog whilst trying to find out how to link my Gadgets (Fitbit, Garmin Strava) to my fitness pal. Hopefully it will be use to others too. Thanks for letting me know - that's exactly why I wrote it. Simon, as a you are clearly a keen road cyclist, what is your take on road hydraulic brakes? Are they worth it? Well, I'm not very experienced with them. I have them on the MTB but that's clearly not the same. I used a cycle-cross bike with disc brakes to film one of our presenters descending the Bealach na Ba. I was in front with a camera under my saddle and the presenter was hard on my tail. Every time I feathered my brakes he screamed as he couldn't slow as quickly! I was very impressed at how well they worked. Separately, when riding La Marmotte there were lots of competitors blowing out on the Glandon descent due to overheating rims. That wouldn't happen with discs. However, one racer told me he wouldn't want to be in peloton pile-up with lots of small rotors whizzing like bacon slicers. And they add weight which will deter some folk. If I was buying a new road bike I'd probably go for Di2 before discs but would ideally like both if the weight was OK. This was really useful and now I'm using MyFitnessPal ! Thank you for letting me know Andrew - it really is appreciated. Can you transfer data from a run recorded on your fit bit to a strava account? 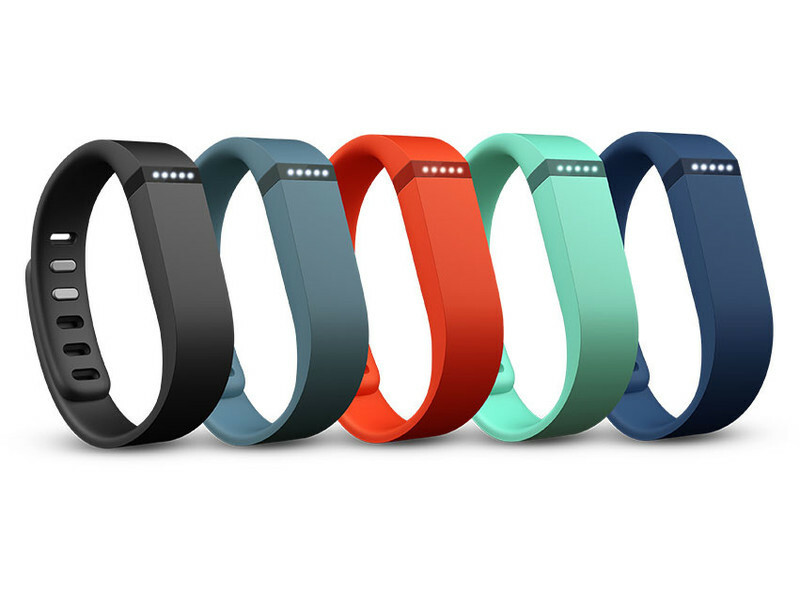 FitBit is not on that list, but I suspect the FitBit Surge may be soon. If you can export a .GPX or .TCX file from the Surge (I can't tell from the website) then you'll be able to subsequently upload it to Strava. If you have a non-GPS FitBit like my Flex then you could note how far you have already walked that day before your run, do your run, then manually enter the difference into Strava. That's a clunky work around, but I can't think of any other way if it's a non-GPS FitBit. If anyone else can offer ideas please pitch in! After hours of searching, I found your article and it all fell together for me. Thanks for breaking trail on this one! Thank you - I appreciate you taking the time to comment. Thanks, Simon, this article was a big help. I actually really like the Apple Health app and I'm having success with an app called Sync Solver to get my Fitbit Flex data into it. Have you had a look? Thanks very much Grant - I haven't seen it but I have linked to it in the text above. I've stopped using my FitBit because I've recently bought a Garmin 920XT watch with a built-in activity tracker. It's less to have hanging from my risk and, in particular, to keep charged. Hi again, Simon. Just another thing I've noticed for people who want to use Health App. MFP will sometimes double count workouts using data from Strava and Health App. So be sure to turn off MFPs ability to read data from the Health App. You can do that by opening up Health App > Sources > MFP. MFP doesn't need to read anything from Health App anyway - all the data it needs is coming from itself, Strava or Fitbit. Good one Grant - thank you. Again! 1. I have previously made all the connections as you describe, with the exception of linking Strava to MyFitnessPal. What does this accomplish? I assumed that my FitBit would take care of tracking the calories I burned on a run and put that into MyFitnessPal for me, and I didn't want my Garmin data (which is uploaded to Strava) to double count and increase my caloric allowance by too much. You say it won't double count? So why link both Strava and FitBit? 2. When you run with your Garmin and your FitBit, do you switch your FitBit to "activity" mode? (I'm not sure if your Flex does this, my Charge does). I usually don't turn on activity mode, but FitBit figures out that I went for a run and counts the "active minutes" for me. Does any of this matter? 3. My main question, and the question that brought me to your blog is this: what is the best way to track activities other than running and cycling that will come in as data from Garmin? For example, if I play tennis for an hour, FitBit will probably give me some "active minutes", which I assume up my caloric allowance. Should I alI also track it as an exercise event? I can do that in FitBit, or in MyFitnessPal, or in Strava. 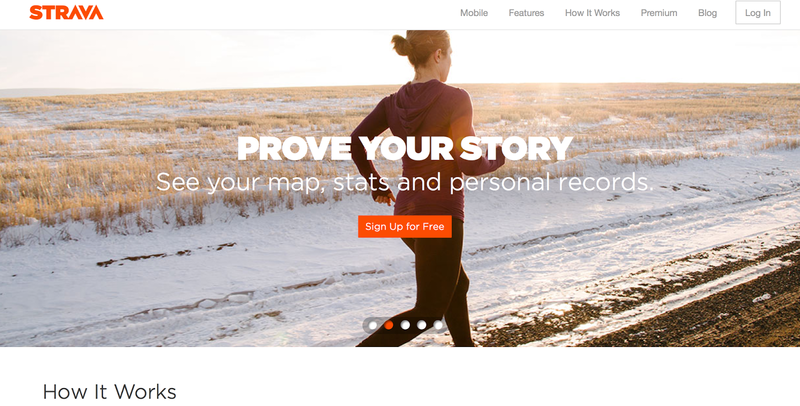 It sounds like you would do it in Strava, as you use that platform as your main record. Thanks for your insights!so track it as an exercise event? I can do that in FitBit, or in MyFitnessPal, or in Strava. It sounds like you would do it in Strava, as you use that platform as your main record. Thanks very much for taking the time to write, and the first thing I have to say in reply is probably not what you want to hear - I don't do things this way now. That said, I'll try to answer your questions. First though - your comment has prompted me to go back to my blog and write an explanation to this effect. My Fitbit is languishing in a draw and I don't count steps, even though my Garmin 920xt can do that too. I've stepped up my triathlon training and frankly my steps are relatively insignificant compared to the volume of other training. OK - let me try to think back to March when I wrote this and try to answer your questions. 1. Why link Strava to MyFitnessPal? Because my Fitbit did not accurately record my cycling effort. I'd record the ride on a different Garmin device, upload it via Garmin Connect (sync to Srava) and then the effort for that would be loaded into MyFitnessPal. On thse occasions I'd leave the FitBit at home. The interfaces between all of these Apps do change, so if you're not sure whether double-counting is hapening I suggest you test it. Switch off any automatic uploading/syncing and gradually turn on the links one by one. It's a good way to test whether running with a FitBit and a Garmin gives you a double work out. 2. My basic FitBit didn't have an "activity" mode so I can't help with this, sorry. So I'm sorry, I realise I'm not being helpful here! As I say, I will add something to the blog to explain things have changed. Frankly, everything is so much easier with the Garmin 920xt I only have one piece of tech to worry about and it syncs automatically, via Garmin Connect to wherever it has to go. I hope this is some small help. Thank you for your response! I linked Strava and MyFitnessPal as you suggest in the blog and it does seem to help with accuracy. It does sound so nice to only use the 920xt. I wish I could justify getting one, but I got the 910 not long before the 920 came out, and I'm not training enough right now for it to be reasonable. Thanks again for answering my questions. Hi there. I have a Garmin Forerunner 235 which logs much the same as the 920XT (I assume). I connected Garmin connect, Strava and myfitnesspal but this appears to result in double counting workout calories in MFP. For example, Garmin connect logs the calories on MFP, but it logs the run on Strava which then also logs the calories on MFP so you end up with 2 identical calorie additions. Any advice or work around? To answer my own question: there is no longer a need for a link between Strava and MFP as Garmin will now track the calories and GPS and will upload the data to both Strava and MFP so they will all then have the same logged data with no double bubble. BRILLIANT! A self-answering question! Thanks for posting the solution you found. To be honest, it's slightly surprising Google keeps finding this post because it is rather old. I haven't logged calories since shortly after I wrote this so I was going to struggle to find an answer. I'm glad you got there and shared it. Simon, did you ever try the I watch? 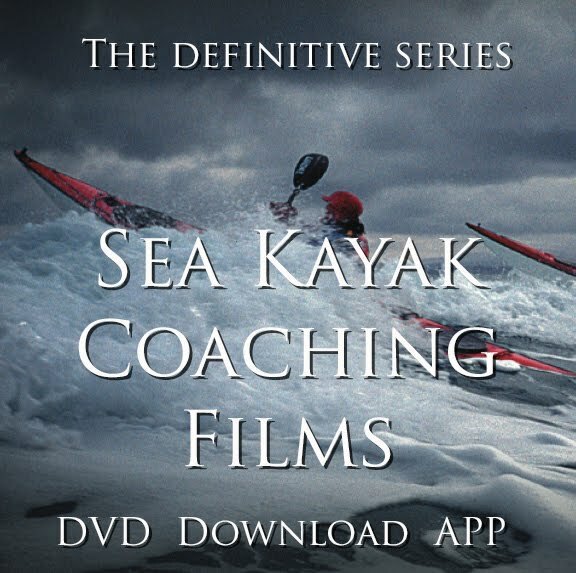 I’d be interested to see how you got on with it for running/biking/swimming, as well as for mountaineering. I am wondering if one will replace my dying suunto. If you mean the Apple watch, then no I didn't. Frankly, I don't see then point of it, but maybe that's me. The rate at which they're updated with new models is crazy for a high-priced product. Sorry I can't be helpful with that one.